provides top quality gardening and building equipment at affordable prices. Powers Grass Machinery is a family owned, local company located in Dangan, Kilmacow, Co. Kilkenny. 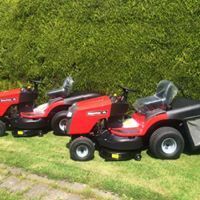 We specialise in the sales, service and repair of various makes and types of grass machinery and garden equipment for gardeners, contractors, councils and the general public. We have decades of experience and are dedicated to delivering top quality products at affordable prices. If you have any questions regarding our products, don’t hesitate to get in contact with us, we have a knowledgeable team who will be happy to answer any questions you may have. We offer and service an extensive range of products for various sites, terrain, and grass mowing conditions. Trade-ins are accepted and we provide a collect and return service. Throughout our years in business we at Powers Grass Machinery have gained a strong reputation for our professionalism, our reliability and our quality products. If you’re interested in purchasing garden machinery give us a call. 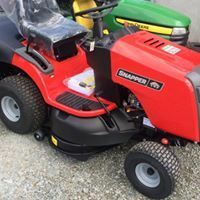 We deal and work with various manufacturers including Efco, Briggs and Stratton, Toro, Mountfield, Tanaka, Kubota, Starjet, Snapper and many more. At Powers Grass Machinery we provide an extensive range of equipment for garden and forestry work, supplying both domestic and commercial customers. We source all of our gardening and forestry products from trusted suppliers in order to guarantee their quality, and offer them at competitive prices. We also stock a range of building equipment including mixers, consaws and more. As with our gardening and forestry equipment, these have all been sourced from trusted suppliers. If you are unsure whether we have the right product for you please don’t hesitate to contact us. Powers Grass Machinery provides top quality gardening and building equipment at affordable prices. Call us for a free quote.